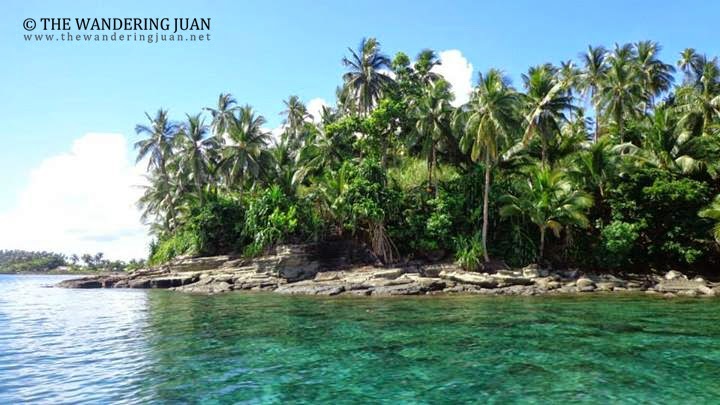 I've only read a handful of blogs about Dinagat Islands so as soon as I arrived in San Jose Port, I made a beeline to the tourism office to check out things to do. I checked the itinerary and the price, P3,000! for a day tour. The price was too steep for me, because I was traveling solo. 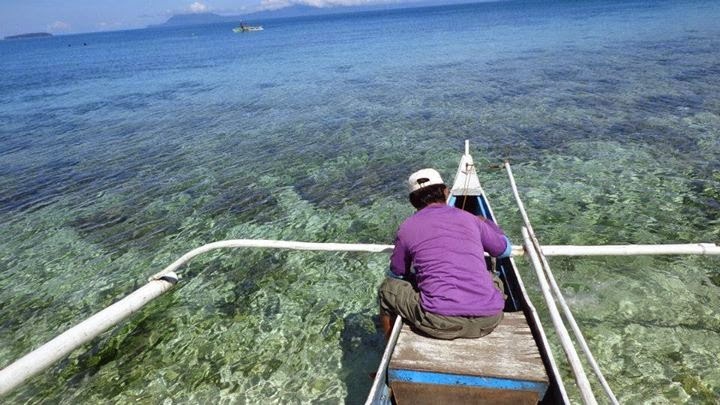 Fortunately the habal-habal driver I hired, Kuya Jojo, had a boat that I could rent for my intended trip. 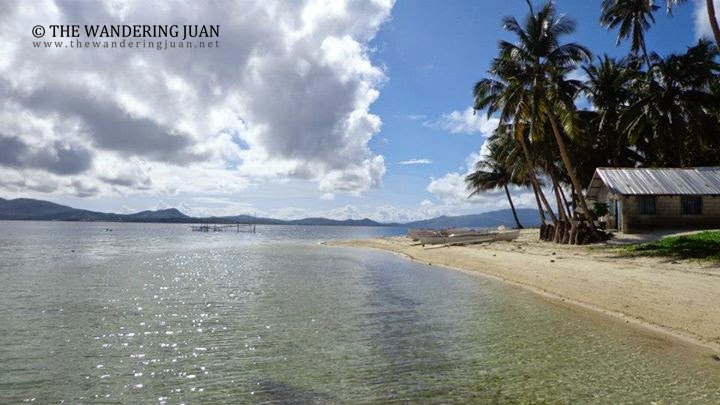 I bargained the amount to P1,500 for an island hopping tour. I started early the next day and went to the first island on my itinerary, which was Cab-ilan Island. It took almost an hour to get to this island, but the trip was worth it. 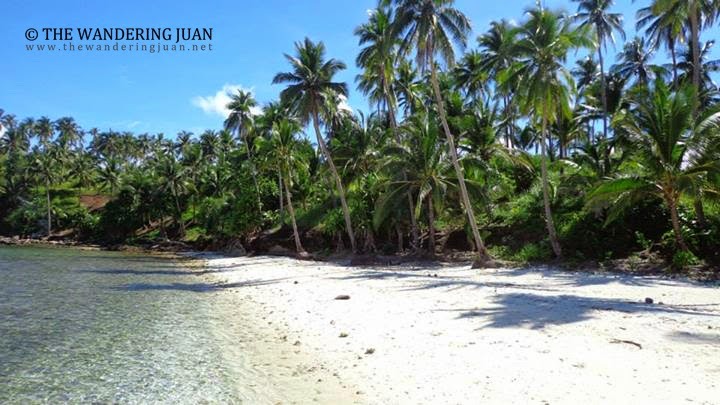 The fine sand and the bluish-emerald waters were a sight to behold. 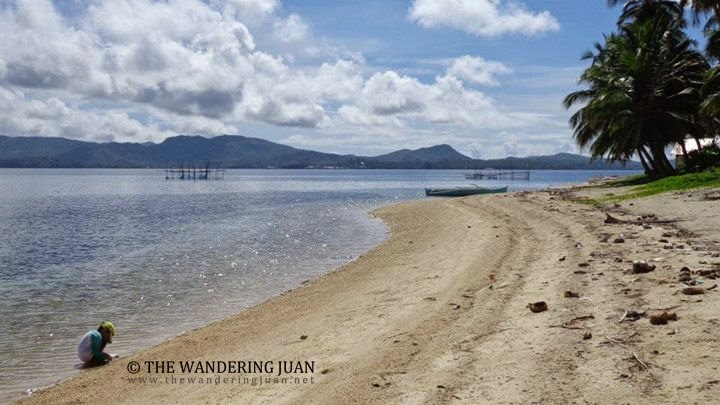 I walked around an island and discovered that this island was actually a barangay. There was a bridge that connected the two islands together. 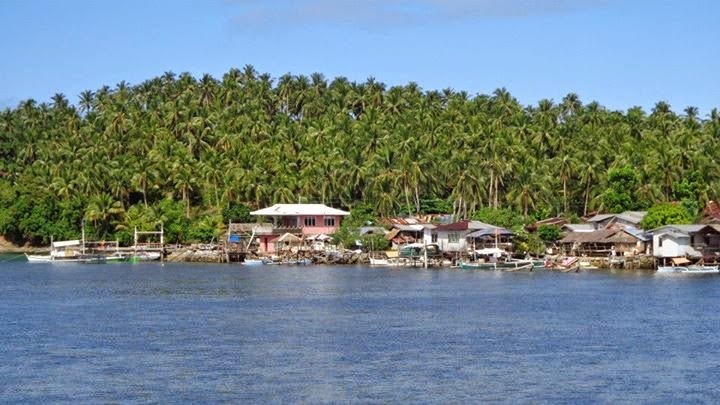 The residents of this island were primarily boatmen or fishermen. I've seen several fishermen on the way to this island. I can't believe how our government allows people to live in such conditions. The same story keeps rearing its ugly head whenever I visit certain provinces. Yes, our fellow countrymen survive, but is that all we want? Do we just want to survive and repeat the same mistakes and live through the same cycles over and over again? 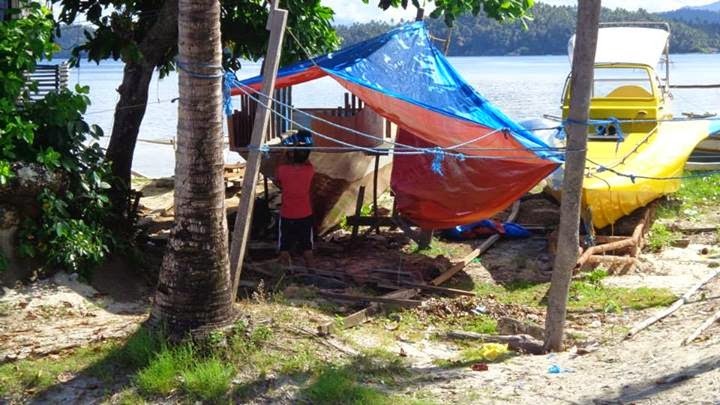 The boatman, Kuya Jojo's father, said that the public officials only chose certain areas for their projects while leaving others out. 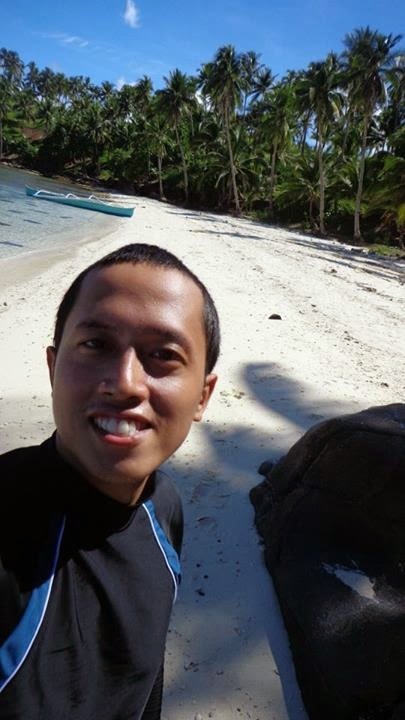 After walking around the small barangay, we headed to an unpopulated island which is still part of Cab-ilan. The colors of the water were quite something if you ask me, they turn from emerald to blue to clear. 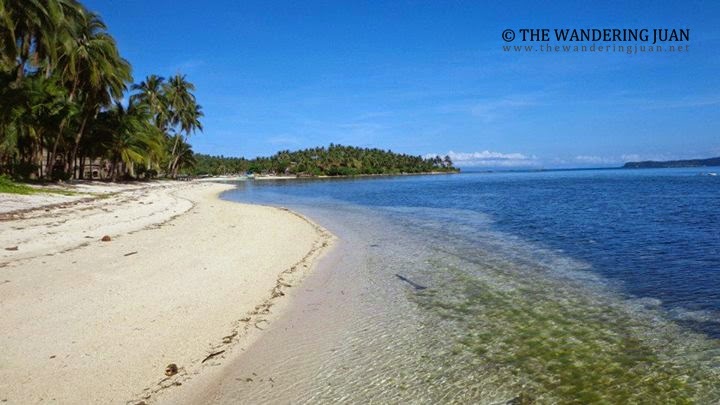 The white sand is also soft to the touch. 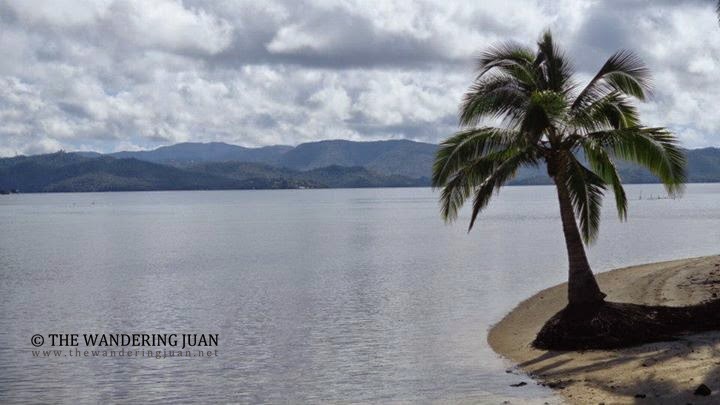 I took my sweet time wandering around the island and swimming in the beach. I practically had the beach to myself if not for the locals who were having a meal on the island. There were also interesting rock formations on this island. 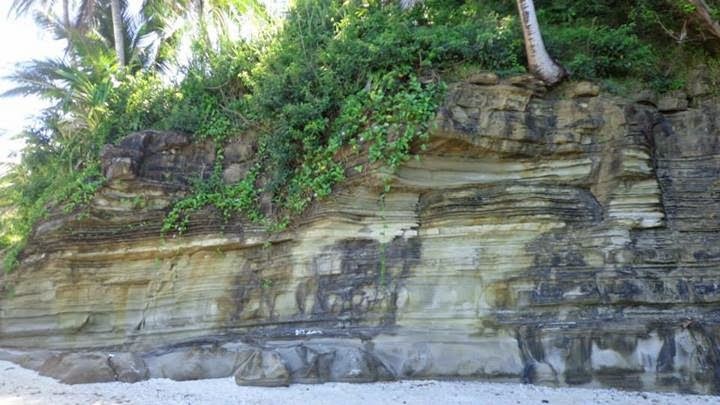 The rock formations reminded me of a much smaller version of Biri in Northern Samar. I met nice locals while I was on this island. They were eating seafood and some sea urchins. 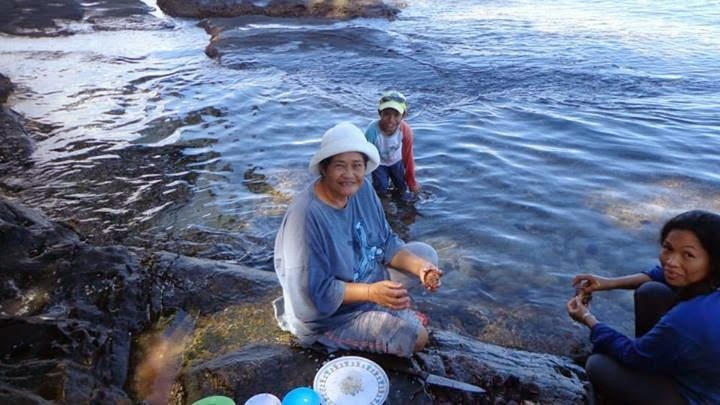 What one lady told me typified life in some of the provinces in the Philippines, 'if you're hungry, you can always get food from the sea'. 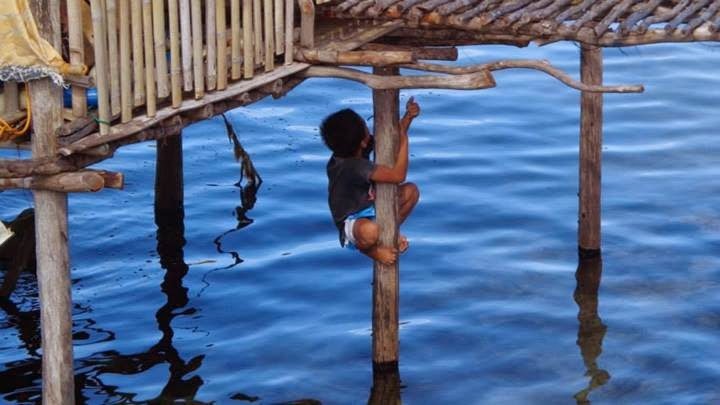 I admire the locals making a living off the sea and the little they have. 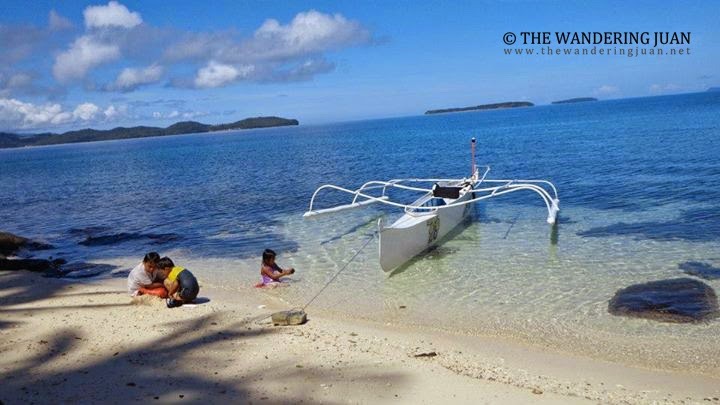 Ride a lantsa, local ferry, to Dinagat Islands from Surigao City. The cost for the ferry is P100 one way, and the trip takes an hour and a half. 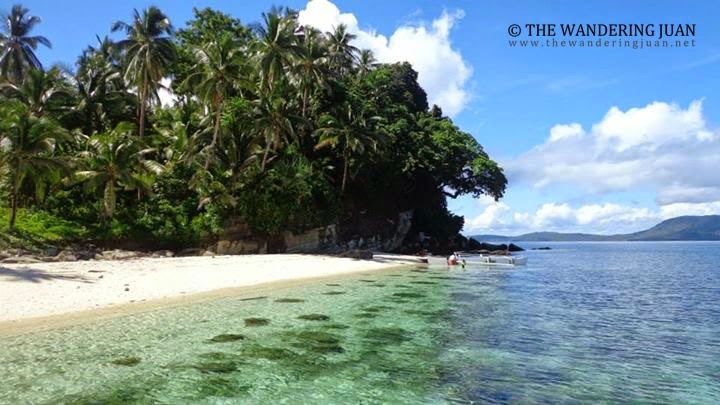 The last ferry leaves at 2PM to San Jose, Dinagat Islands. There are instances when the ferry leaves much later, at around 4PM, to reach the maximum capacity of the boat. I arrived at 1PM and waited till 4PM before the lantsa disembarked. 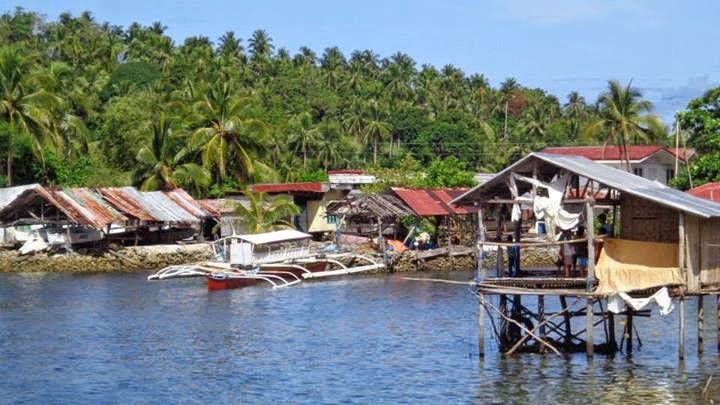 Make sure to ride the ferry bound for San Jose because there is another ferry that goes to Dinagat, which is another town. 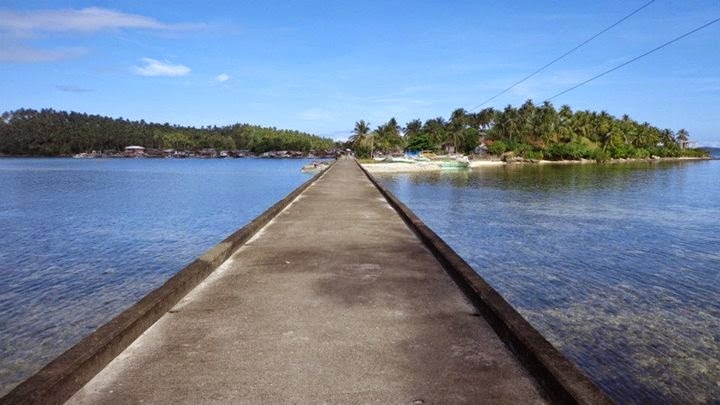 Marami din palang magandang dadayuhin sa Dinagat. Salamat pala sa mga iniwang tips, Sir. 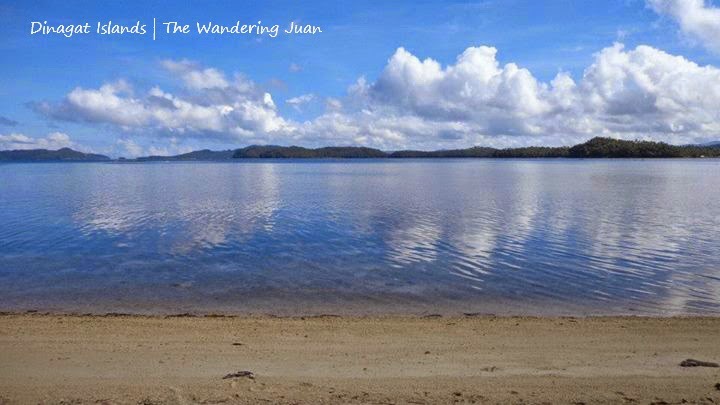 Love your photos, Juan. I am particularly interested in Sibanac Island (Basilisa). At times I am confused as to which one of your photos are of that island, or a nearby island. When you have time, could you make a post of the photos just from that island? I have a hard time visualizing exactly where these beautiful spots are. I would love to be able to look at Google Earth and find them there! Thank you for the great shots!